Renegade Runners line-up at the Lincoln Run 4 All 10K. 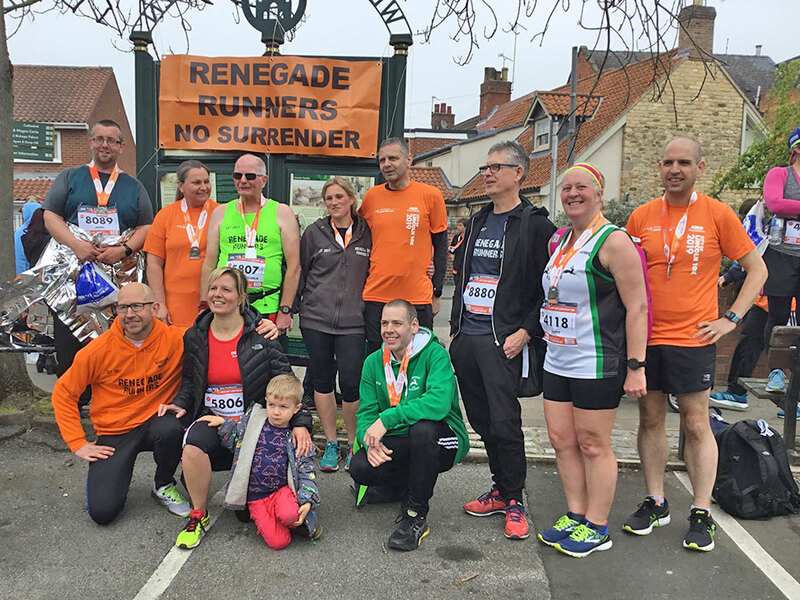 ATHLETICS: Renegade Runners returned from the Lincoln Run 4 All 10K with several personal and season’s best times. Matt Pyatt led the way with his fastest time as a veteran, finishing in 33.47 for 22nd place overall and second veteran overall. Sennitt-Clough also setting a PB in 43.39 as ninth veteran female. 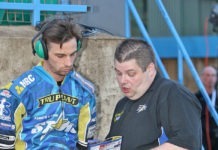 Ian Wiggins smashed his sub-45 target with 44.27. Andy Doyle and Lisa Pyatt ran season’s best times of 45.33 and 45.49 respectively, while Kerrie Page smashed her sub-55 target with 54.32. Sarah Kimberley ran a season’s best time of 57.40. Lawrence Matthews, 1.00.24, and James Boote, 1.19.45, also ran season’s best time. 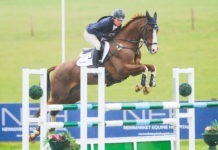 Charlie Pyatt improved on his last outing with 1.21.51. 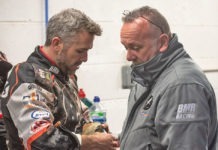 In Manchester for the first big race in the marathon season saw training partners Martyn Benstead and Steve Eke enjoy massive improvements on their previous marathons. Benstead clocked 3hrs 54mins and Eke 3.58. At the 34th Norwich Half Marathon, Irena Marcinek finished in 1.53.42. Other members were also in action at the Cambourne 10k. At the weekly Parkrun event in King’s Lynn, the Renegades again took on all the volunteering duties.